The estrangement and ugly divorce of Goggle Local from G+ is finally, finally ending with the mop up of the last remaining remnants of the marriage; those many, many G+ Local Pages that got created in the wild passion of their joining. What always seemed like an unnatural union started going south in 2015 or so. Since then the assets have been split, what functionality Google Local needed from Plus, they created,for the most part1, on their own (improved Insights, Posts2, review links3, description field4 ). This has been a long time in coming with Google having started some of this process in mid 2015, maybe earlier. Sometime in the last quarter, I received a number of emails from concerned business that Google stopped auto-creating Google Plus pages when a new listing was created in the GMB. Over the past quarter Google apparently nuked the many G+ Pages local pages that were auto created but never used. Email sent courtesy of Group Insurance PDX, an employer benefits consultant in Portland. 1 -One feature that has existed in G+ but has yet to make it over to the new Google local is a mechanism for communicating with a review poster. While this was possible with G+ none of the posters ever read their G+ so it didn’t work but the feature is one well worth re-capturing. 2- The nail in the small business use case for G+ was the fact that the posts were hardly included in search. This small change would have provided a meaningful use case that would have kept Plus alive in the SEO and SMB communities. 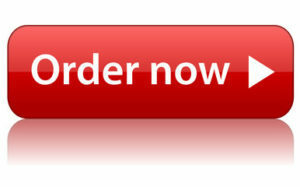 Posts has become both a great branding tool as well as an effective call to action in the SERPS. 3- By making the review link able to be auto generated and based on Google’s Places ID is one of the factors that has allowed Google to surge ahead in the review race. They are garnering somewhere between 5 and 20 times the volume of reviews as Yelp or Facebook. 5- One area that is not clear is whether a solid G+ presence will still be able to influence local search results by impacting relevance. LocalU has decided to extend our Early Bird pricing until 3/16. Previously set to expire on 3/8 – the special $699 pricing is available to everyone until 3/16/2018 at midnight. If you’re bringing a group of 3 or more, you’ll receive an extra $50 off per ticket – lowering the price to just $649 per person! There is all new content so if you have been before there will be new learnings. This event is a can’t miss if you want exclusive access to industry thought leaders who include David Mihm, Cindy Krum, Mary Bowling, Joy Hawkins, Mike Blumenthal, Joel Headley, Aaron Weiche, Ed Reese, and Allyson Wright and Marissa Nordahl from Google. Hotel Deal – We have negotiated a special rate with Candlewood Suites Austin Arboretum-Northwest 9701 Stonelake Blvd, Austin, TX 78759. Use this link for special $119 per night rate. Who’s Really Behind Fake Online Reviews? Reviews, reviews and more reviews. Jason also covered an interesting story in the review space that doesn’t seem to die, Review solicitation and blackmail about a small SEO firm in Colorado that was threatened for blogging about a review company in the space. Last week though was a busy one on the review front for me and around the web as well. I participated in several webinars and there were some other interesting articles. How to Deal with Fake Negative Reviews on Google – Joy Hawkins explains what to do when your business is attacked. Google Q&A: Google’s Newest Knowledge Panel Feature That You Might Just Hate (or Love) – My recent research into the visibility and impact of Google’s Q & A feature and a plan to cope with it. Unpacking the Increasingly Complex Local SERP – in the bi-weekly series wth David Mihm we discuss the ins and outs of how Google is dealing with local services, the impact on the serps and the implications for businesses. Video Deep Dive: Google Posts Impact Study – Join Joel Headly of PatientPop, Mary Bowling and me as we discuss some very interesting data and techniques on the impact of Google Posts. Video: Last Week in Local Feb 26, 2018 – it was an interesting week in local. Mary and I cover everything from the ranking webinar at Brighlocal to Yelp ads and their value (?). 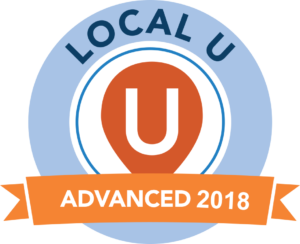 I love local and I love LocalU Advanced. We have scheduled our next events for Austin. We will be doing an SMB event there to help fund Celia Bell’s training foundation on April 11th and on the night of the 11th and the day of the 12th we will be doing a full day Local U Advanced. The speaker line is incredible with Cindy Krum talking how to attack the new opportunities in voice, David Mihm joining us and taking a look at the how agencies and in-house SEOs need to adjust for the coming years and Joy Hawkins will be doing her deep dive into the quirks and issues with Google My Business. And a lot, lot more. The pricing is currently pre agenda at $549 but it goes up very soon.